Testimonials - Burgeson's Heating & Air Conditioning, Inc. I want to commend you and your employees on the professionalism and expertise shown to my wife and I during installation. Any questions we had were answered by ken and the gentleman with him. Care was taken to protect our home which was much appreciated. Jeff made a service call the next day because I had a question. He was very professional and friendly as he helped me. He also called to follow up with me about a week later. In closing it was a pleasure doing business with your company. P.S. Love the shoe covers-booties. Burgeson's provided a competitively priced quote in a timely matter after inspecting the house, and followed-up with competent answers concerning the proposed installation. A competitor lost consideration due to slow responses. The installation was scheduled well in advance, implemented on the scheduled date, and completed as forecasted. The installers kept the house very clean. They put in extra efforts to satisfy our desire for thermostat location, number of zones, and etc. We certainly recommend any one utilizing them. Especially for in the Big Bear Lake area, where the remote location tends to suffer from poor access to excellent services. The crew was fantastic! Installation went well. Everyone was very conscientious about keeping the house clean after each day. That was appreciated. The system was explained and works great. Your crew was friendly and very knowledgeable. All around great job! The workers were very respectful and polite. The sales representative was very courteous and informative. We are very happy and pleased. Everything's working great and we are enjoying the new unit. Thank you!!! 100% Pleased with the people, the job, and the product. I was impressed with the high level of detail, attentiveness, and knowledge each worker displayed. Installers were polite and cleaned up after work was complete. We are very satisfied with the job and work that was done. Thank you! Good experience from start to completion! Attention to detail and knowledgeable in all aspects. Loved the installers. They showed up on time and didnt leave a mess. They answered all my questions and were very courteous. Im very pleased with my new A/C unit. I recommend Burgeson's hands down they do a great job and you wont be disappointed. We are very pleased with our new HVAC system. Performs as promised. The workers were awesome and the product works great. It is expensive but worth it. You were referred by Dr. Bob Wines of Beaumont. I'm glad I took his advice. Outstanding experience all the way. Thank you! We were very pleased with the entire process! Thank you for the professional service. The installation process was seamless. All your staff was excellent. I love my new system! Thank you again for everything!!! Thank you for a fantastic job! Once again you proved to us that if we go away from the valley contractors (palm springs area) we will be treated fairly and with respect! Thank you for taking the time to explain details throughout the installation. The furnace and A/C are so quiet, we dont even know they are on. You are now able to hold a conversation out by the pool. Thank you also for doing such a great job getting the air to our family room which was a big concern, not anymore!!! We want to thank Burgeson's for providing us with very qualified, hard working, and conscientious young men to install our new air conditioning system. We felt comfortable having Justin and Deegan working on our property for two days. Very nice guys! Everyone was very professional!! The job was well done. 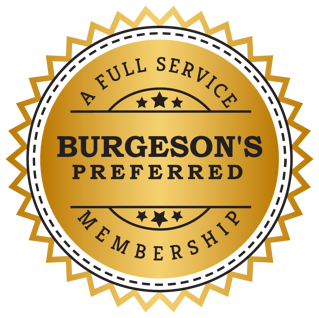 I certainly will recommend Burgeson's to anyone with heating or air conditioning needs. They are the best, what can I say!! Outstanding crew that performed an outstanding quality of work! Explained and answered all our questions. Thanks! Installation has been inspected by building and safety and is good to go. Thank you! Great job as usual. It's always a joy to work with this company. Thank you for the time in which my new A/C was installed. The workers were on time and did there work with the quality expected. Thank you once more. Andy was excellent to work with, he was knowledgeable and always on time to our appointments. He had some issues after installation, but your team quickly resolved the problems. Very satisfied with Burgesons. We would recommend your company to our neighbors. Very satisfied. The technicians were prompt and courteous. I appreciate that I heard no foul language from any of them. They all worked hard as a team to complete the job. Rick was great- Thank you for the extra patience in helping us make the best choice possible. Job was completed more quickly than I expected. Very courteous and considerate. Kept house clean and picked up all messes. I was very impressed. Thomas was so patient and wonderful with me. Being a female I had no clue what to expect and was so happy to have such a kind technician. He showed me step by step and kept me informed at all times. I would like to request that you send thomas as my regular technicail from now on. Henry did a awesome job today at my home. I loved his energy. 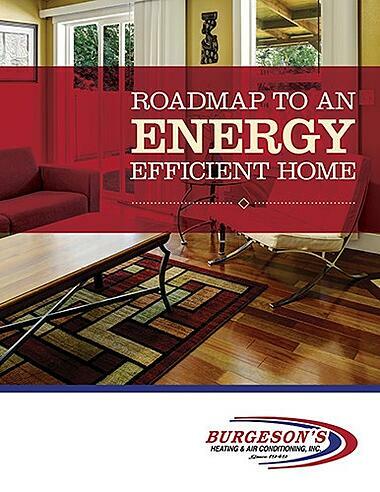 I have used Burgeson's for many years and they are always consistent and do a great job. Burgeson's has always provided prompt and timely service. We have used your company for the past 20 years for two different homes. We are very proud to have you for our services. Very professional crew. Their expertise and work ethic was outstanding. I would recommend this company. We will and already have recommended your company to family, friends, and co-workers. Thank you!! Thank you for such a pleasant experience and nice guys. Your workers where very courteous and efficient. Kenny, Nate, and Josh did a fabulouse job! Very considerate to someone as "picky" as I am. Thank you!! Amazing Job! From the time of consult with Robbie to finished job, all employees were great to work with and very helpful. Went above and beyond to make sure we were happy. No complaints! The guys were courteous and friendly. Excellent installation in record time. So far everything still works great!! Your crew were always respectful and courteous. I will recommend your company to my friends. I appreciated your total professionalism, courtesy, and quality of work. We have been long time customers of yours so were inclined to use your services. The Costco discount helped make decision even easier. Employees were honest and dependable. We left the house for about three hours and everything was almost done by the time we got back to the home.